but YOU HAVE NO IDEA IF YOU'RE REALLY READY AND too scared to take the leap. You shouldn’t have to figure this out on your own. You're all set for the Make-Up Your Business webinar tonight! 1. If you’re serious about launching or growing your freelance makeup business, THIS webinar could be the pivotal moment where everything changes for you. This isn't a regular webinar. Think of this as your personal one on one to ASK ANYTHING. 2. The replay will be available immediately afterwards! 3. This is meant to be a conversation to help answer all your questions about taking the leap from freelance to full-time and create the makeup business you've been dreaming of so COME PREPARED TO CHAT AWAY! 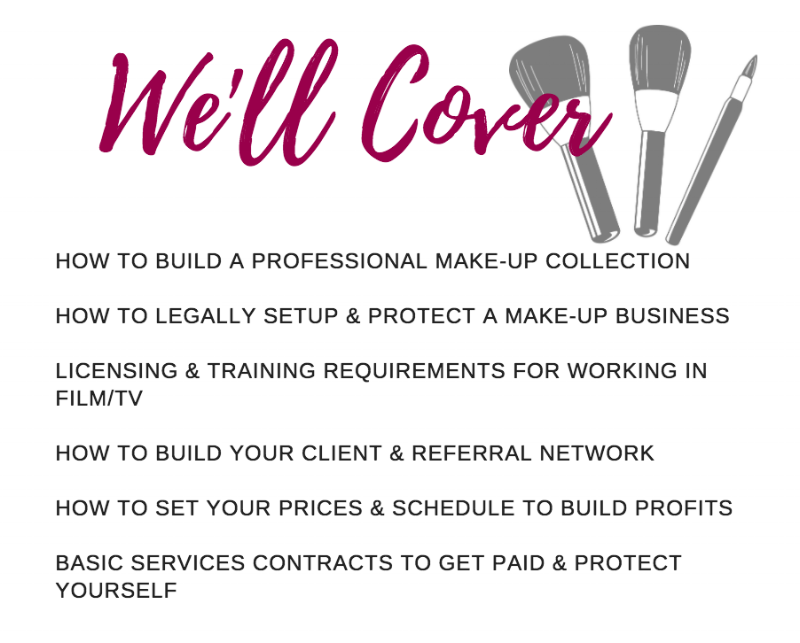 EVERYTHING YOU NEED TO LAUNCH YOUR MAKE-UP BUSINESS & TAKE CLIENTS NOW! Let us show you how to turn your passion for make-up into the profitable business of your dreams! make-up your business is the WEBINAR to get your make-up business legally setup, launched, and looking like a polished professional painlessly. DON’T RISK MISSING ON BOOSTING YOUR INCOME & LANDING BIG CLIENTS BECAUSE YOU AREN’T HANDLING BUSINESS AS BUSINESS. CHEVON: I a veteran makeup artist and have grown my business from freelancing with friends to working with the biggest networks in the industry like VH1, BRAVO, and TVONE. Make-Up your Business is everything I wish I knew to launch my business, build confidence to land big clients, and give the glamorous look your clients want efficiently and for less. SHAY: I am a licensed attorney representing clients with over 2 million in reach and have helped grow their businesses and leverage relationships with some of the world’s biggest names like Discovery Channel, Youtube, Pottery Barn, Miller Coors and more. It is because my clients hired me and had the proper protections in place that they are able to grow and protect their brand as business owners and I can't wait to help you make Make-Up Your Business.